Mount bromo Trekking Tour Package – This package for those who like open air sport especially mountaineering. They can start from jemplang to savanna through the sea of sand to whisper sand and bromo crater. The trekking will do with our professional tour guide experienced and familiar with mount bromo area. From the peak of Mount Bromo the climbers can see the beautiful and breathtaking scenery of a vast sea of sand, vast sea of sand surrounded by mountains of Tengger caldera. The journey will start from Surabaya or Malang to go to Cemoro Lawang in Probolinggo regancy, the last village in bromo area. Journey will take for about 4 hours driving by private car. Arrive in Cemoro lawang village check in hotel and rest for preparation mount bromo climbing tomorrow morning. Wake up early morning around 5 am for preparation mount bromo trekking tour. Leave the hotel to go to Jemplang by using 4WD jeep, the journey will take for about 1 hour driving with jeep. After arriving in jemplang then the jeep will leave us and wait in the parking area around the bromo crater. This is the time to do the adventure in the area of Mount Bromo. the journey begins from jemplang to the savanna and proceeds to the whispering sand through the vast sea of sand that leads to the crater of bromo. after enjoying the adventure and scenery in bromo area then it’s time to go back to hotel using jeep for breakfast and rest for preparation tomorrow. 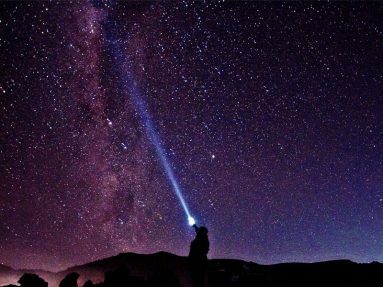 If you are photographer, you can take pickture of Milky Way from Mentigen hill. Wake up ealy morning at 2.30 am for preparation sunrise tour. 4WD jeep will take you leave the hotel to go to Mt Penanjakan ( view point ) to see the sunrise. 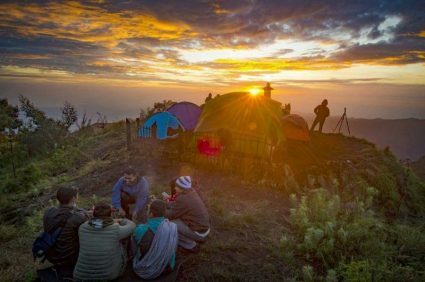 Enjoy the beauty of Sunrise and landscape surround mount bromo, mount batok with background the highest mountain in east java is this Semeru mountain. When you are done with the amazing scenery it is time to return to the hotel for breakfast, take shower and packing. It’s time we split up and took you to Surabaya or Malang.